We have listed the Top Root Apps 2019. The rooted Android phone has many advantages because when you root an Android smartphone it permits you to act as the administrator of the Android phone. But, how can you take over the good control of your rooted device? The solution is to use the best root apps for Android, so today I will be talking about some best root apps. If you want to root your Android phone, check out: How to Root Any Android. This app is very very useful for the Android devices that supported a small internal storage capacity. Link2SD can be used for moving the data of the applications we’ve been installed to the 2nd partition of the SD card. This is the best file manager out there. The basic idea of this explorer is just awesome. This app provides you two panels when positioned in the landscape view. You can simply copy-paste any file or move any file from one panel to the other without the fuzz of remembering the path of the locations separately. It also has additional features like FTP connection etc. This is a must-have app for all the Android users. Explore the contents of nandroid backup. Install boot animations on your SD card. DiskDigger can undelete and recover lost photos and images from your memory card or internal memory. The app claims that it also works with a non-rooted smartphone. However, it works the best on the rooted device. This is one of the best photo recovery app which comes with a great interface. BusyBox is a software application that provides many standard Unix tools, much like the larger (but more capable) GNU Core Utilities. BusyBox is designed to be a small executable for use with the Linux kernel, which makes it ideal for use with embedded devices. FlashFire is the most advanced on-device firmware flasher available for rooted Android devices. It can flash full firmware packages from various manufacturers, as well as apply over-the-air (OTA) and ZIP updates – all while maintaining root, and without using a custom recovery. Flashify is one of the best Android apps which you can use to flash almost every ROM. The interface of the app is clean and well organized, and you can use it to flash ZIP And CWM format. Not only that, but Flashify also allows users to download TWRP, CWM, Phiz, and Stock Recovery. So, it’s another best root apps that every rooted Android user should have. With Flashify, you can flash boot and recovery .img without going to the recovery mode. Flashify also allows users to flash zip files, wipe cache, dalvik, and data. 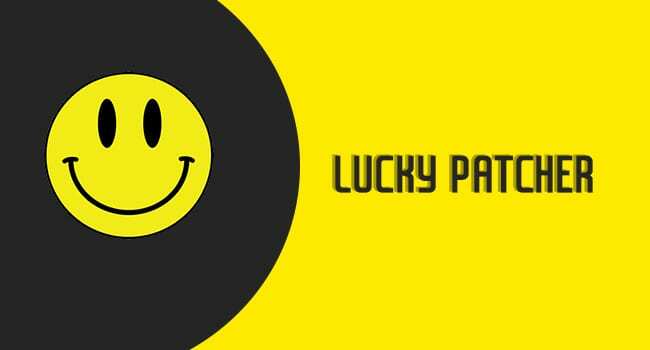 Lucky Patcher is one of the interesting apps that every rooted Android user would love to have. The app can block ads from the games and apps. Not just that, the app is also used to hack in-app purchases of premium apps and games. You can get unlimited gaming resources by using Lucky Patcher for Android. Well, you might have already heard about the term DPI. DPI represents pixels per inch, and it tells about the actual quality of your Android’s display. So, Easy DPI changer simply helps rooted Android users to improve the visual quality of their smartphone. DPI changer is a free app, and it doesn’t house any in-app purchases. 3C Toolbox is another best Android root app which it’s worth trying. The best thing about 3C Toolbox is that it can be used to make a wide variety of changes to your Android smartphone. For example, with 3C Toolbox, you can control your phone’s processor, battery backup, backups and much more. 3C Toolbox features a powerful Device Manager which you can use to control the operating system from its core. 3C Toolbox also houses an advanced file manager which you can use to access files stored on both internal and external storage. The latest version of 3C Toolbox also features an app manager which you can use to kill battery hogging apps and games. GL Tools is one of the best graphics optimizer app available on the Google Play Store. The app can help you to improve the gaming performance of your Android smartphone. The app actually allows users to spoof GPU and CPU info to get better graphics. The app allows users to compress and decompress the textures. You can also change the resolution and rendering bitness in any app. Root Explorer is another best file manager app for a rooted device that you would love to have. The great thing about Root Explorer is that it comes with various tools like Text Editor, Database viewer, Compressor, Script executer which could help to modify the system files. Ever wondered why your Android’s screen keeps waking up all of a sudden even if you have turned it off? Well, you can blame some of the apps running in the background that doesn’t permit your device to turn off the screen. So, the Wakelock Detector helps us to recognize that particular app which is preventing your Android screen from turning off. Well, if we look around, we will find that there are lots of apps meant for Android that allows users to cheat on the games. One of those popular apps is known as Xmod. Xmod needs a rooted Android smartphone to apply cheats on popular games like Minecraft, COC, etc. The app is completely free to use and it doesn’t house any in-app purchases. Amplify is a battery monitoring tool that is capable of performing some advanced stuff. The app needs a rooted Android smartphone to give you the powers to manage the battery. Amplify provides some advanced features which could help you to monitor and optimize your battery’s performance effectively. The app also comes with a stable blocking engine which can be used to block battery consuming apps and process. Fontster is one of the best font changing tools that you can ever have on your rooted Android smartphone. The app allows users to apply different fonts on their Android smartphone. Not just that, you can also apply fonts system-wide. That means all apps installed on your Android device will use the same font that you have selected in the Fontster. Fontster is one of the best and free Font changing tool available for Android. Fontster houses over 150 full font families to choose from. You can also use Fontster to backup and restore fonts. So, above are the best Android root apps 2019 for your Android smartphone. If you have a rooted device then this app will help you a lot and will enhance your overall Android experience. Hope you like the post! Share it with your friends too.